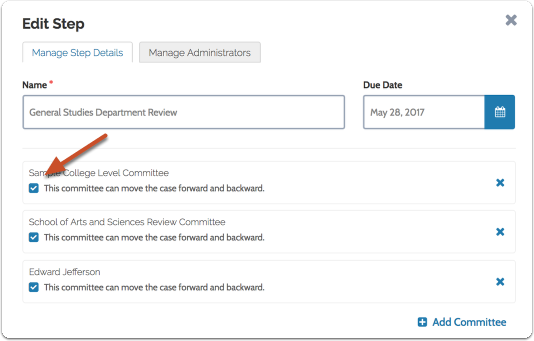 One or more standing or ad-hoc committees, or even individual reviewers can be added to a case review step when creating or editing a case. 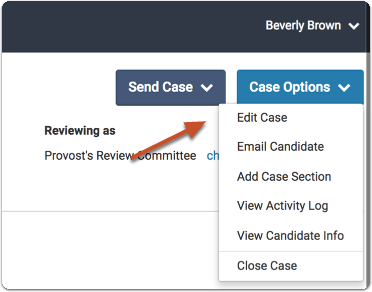 If multiple committees or individuals have access to a case at the same case review step, reviewers will have access to the case documents and responses to candidate forms at the same time. 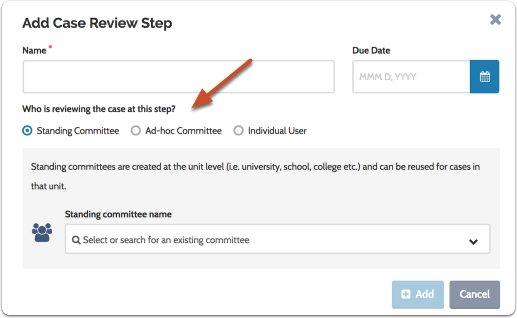 Committee instructions, voting records, and conversations will only be visible to their respective committee, no matter how many committees or individuals have access to a case at a given step in the workflow. 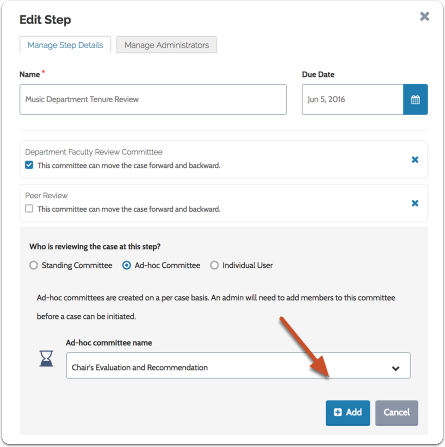 Committee Managers and Evaluators with only one committee assignment will see the instructions, voting records and conversations for their assigned committee at a given step. 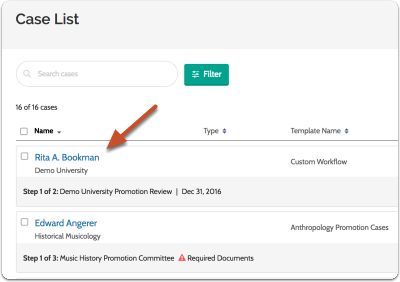 Committee Managers and Evaluators with more than one committee assignment (or individual access), can toggle their view to see the instructions, voting records and conversations for each of their assigned committees. This article explains how to add committees when editing a case, but the process is the same when adding committees while creating a case.